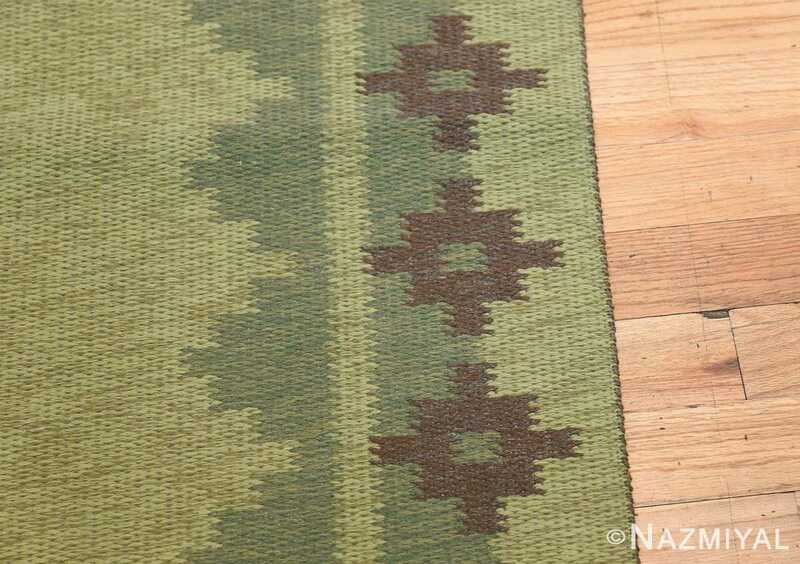 Blurring the line between classicism and minimalism, this vintage Swedish kilim features a striking border-centric design built with alluring right-angle lozenges. 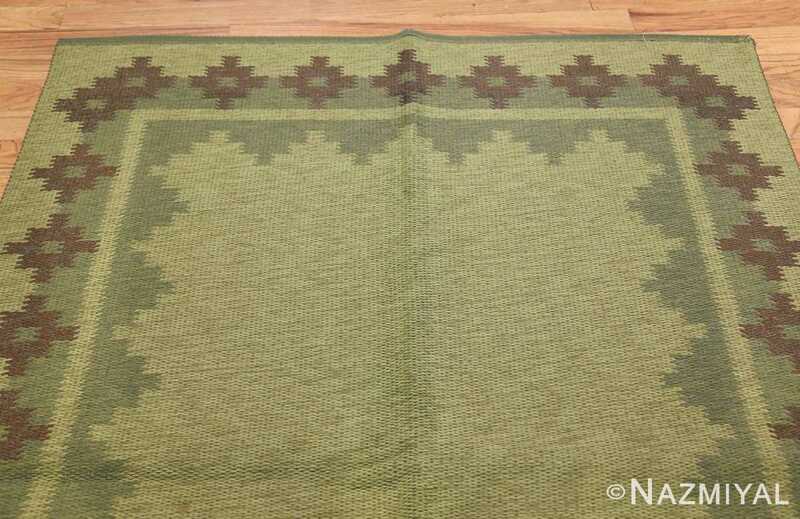 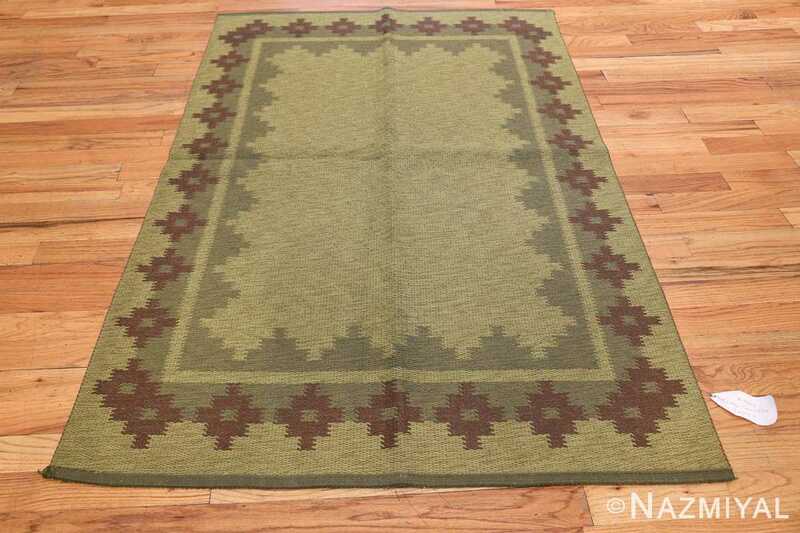 Vintage Scandinavian Swedish Rug, Origin: Scandinavia, Circa: Mid-20th Century – This superb mid-century Swedish vintage rug showcases a lovely selection of lozenge-shaped florets and crenellated zigzag tiles that are rendered in a verdant mid-century palette of golden key-lime green, avocado and bole brown. The expertly styled composition on this vintage Swedish rug relies on an ingenious series of modular motifs that play off the ubiquitous right-angle geometry associated with flat-weave carpets from around the world. 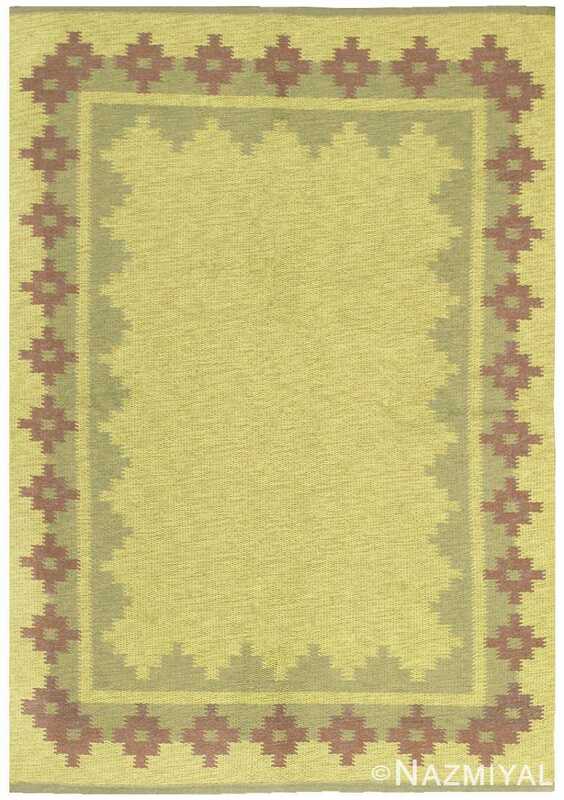 Zigzagging tiles with precise stepped edges are cleverly placed inside the linear lime-green frame and appear again outside the frame, where they fill the space between each lozenge-shaped floret. 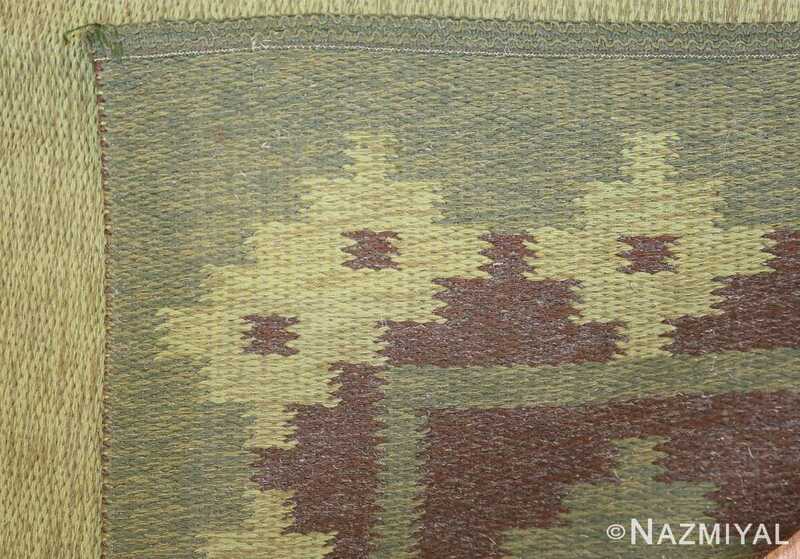 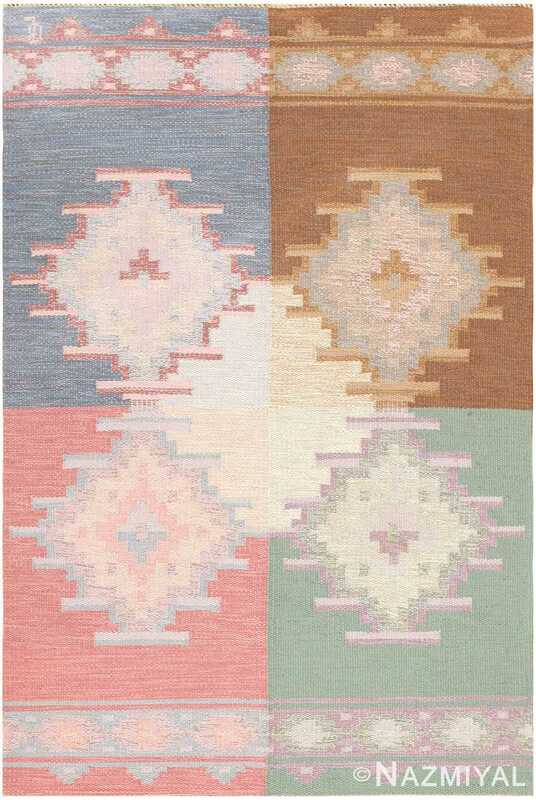 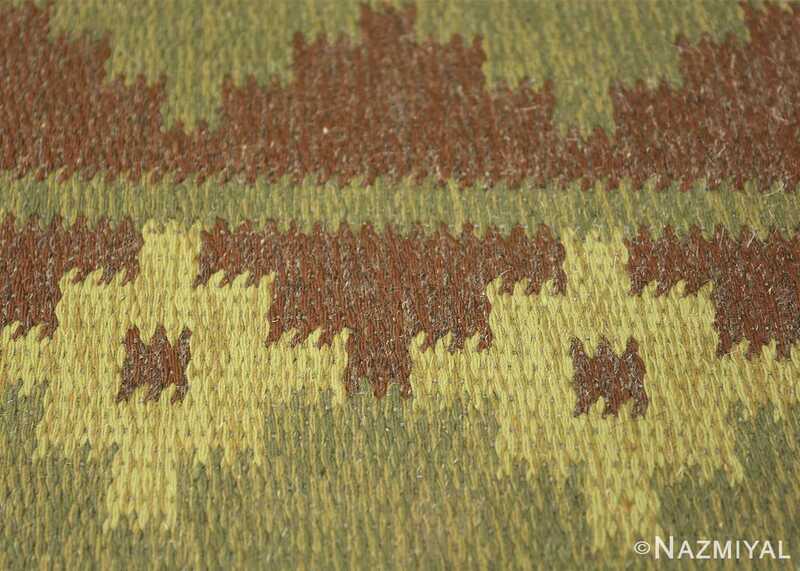 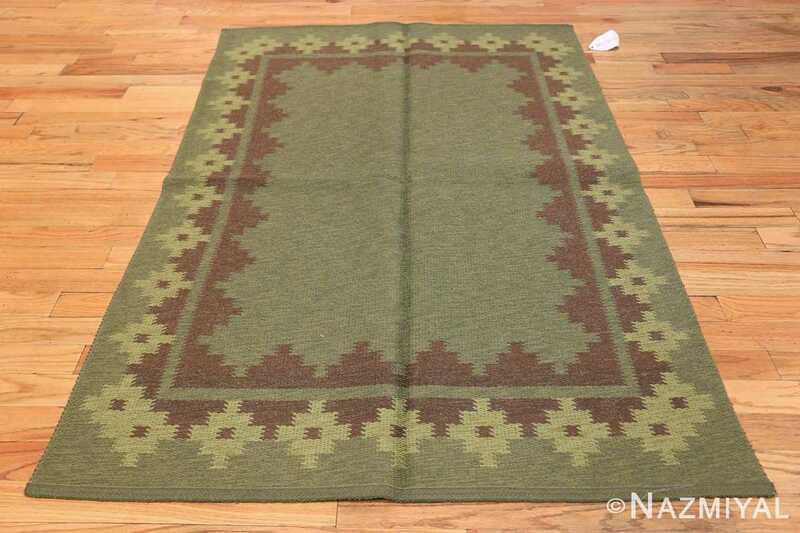 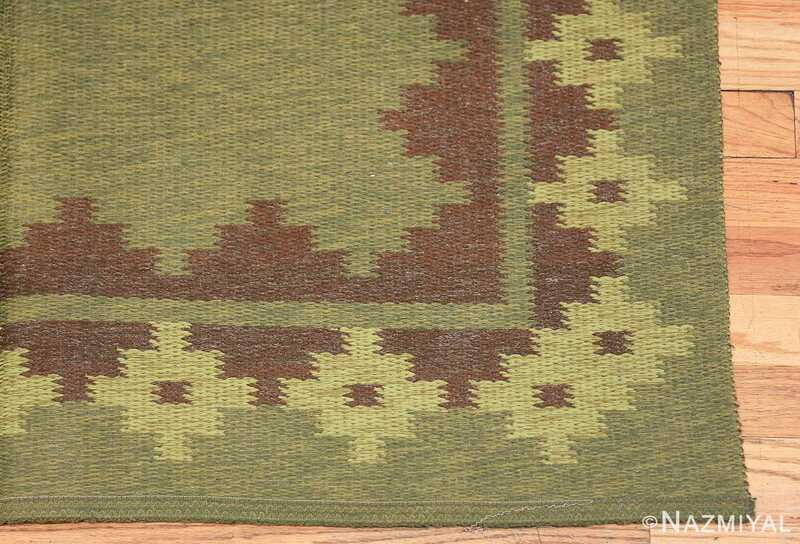 The precision, the exceptional use of geometry and the clever placement of interlocking motifs all give this fantastic Swedish kilim its classic, understated appearance, which is perfectly suited for modern interiors, mid-century spaces or Craftsman bungalows that demand organic colors and bold geometry. 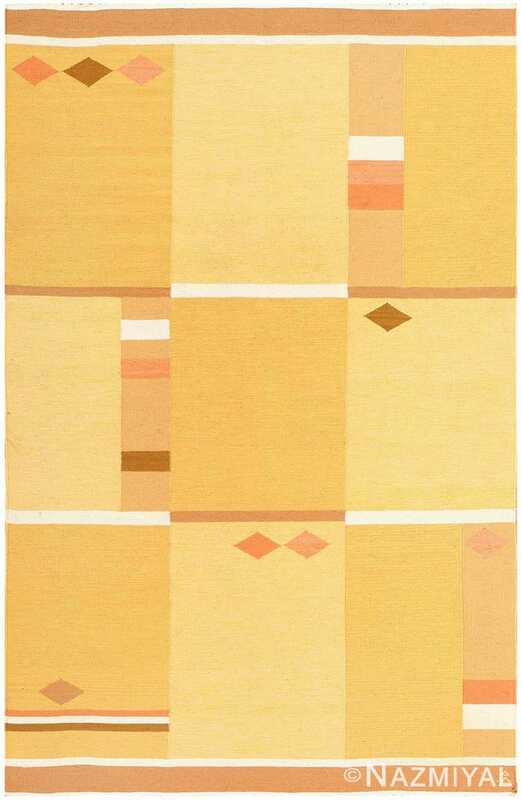 Divided neatly into four quadrants, this carpet is simultaneously honest and straightforward as well as complex and intelligent. 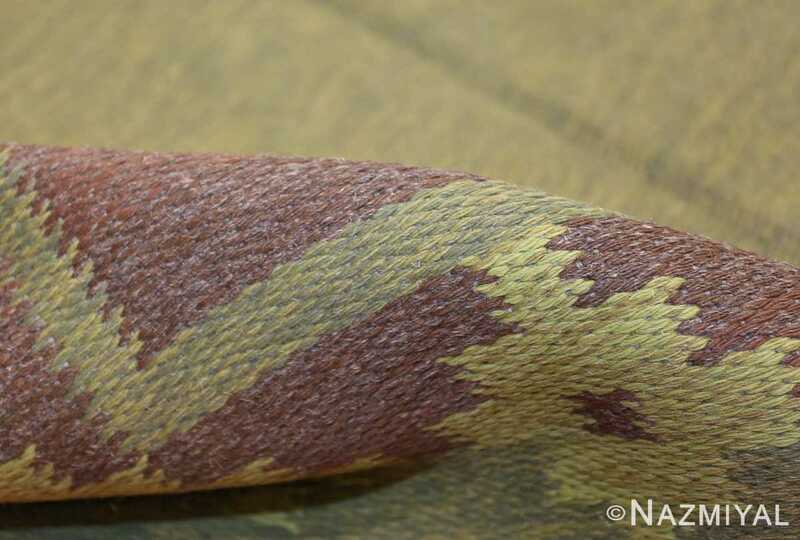 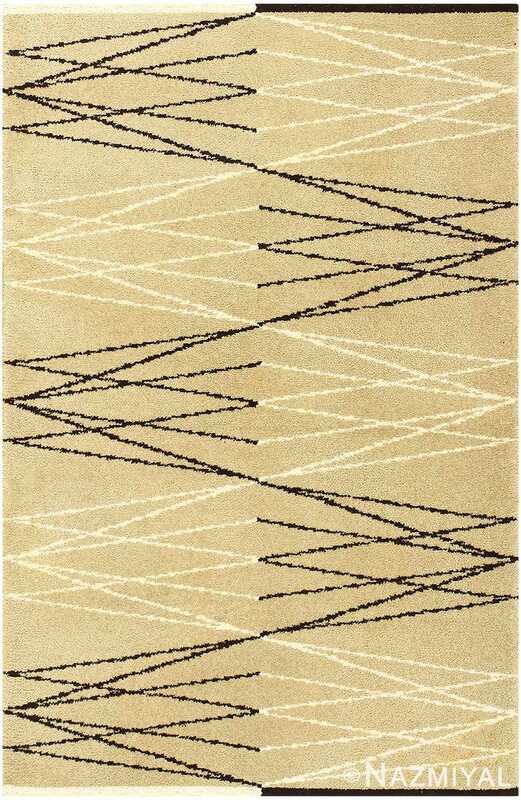 Daring and decidedly modern, this carpet is characterized by its dynamic composition in which opposing line work plays out against a background of gold.